Whether you’re about to suit up for your first job ever or looking to brush up on your everyday workwear, we’ve got your tune-up covered. 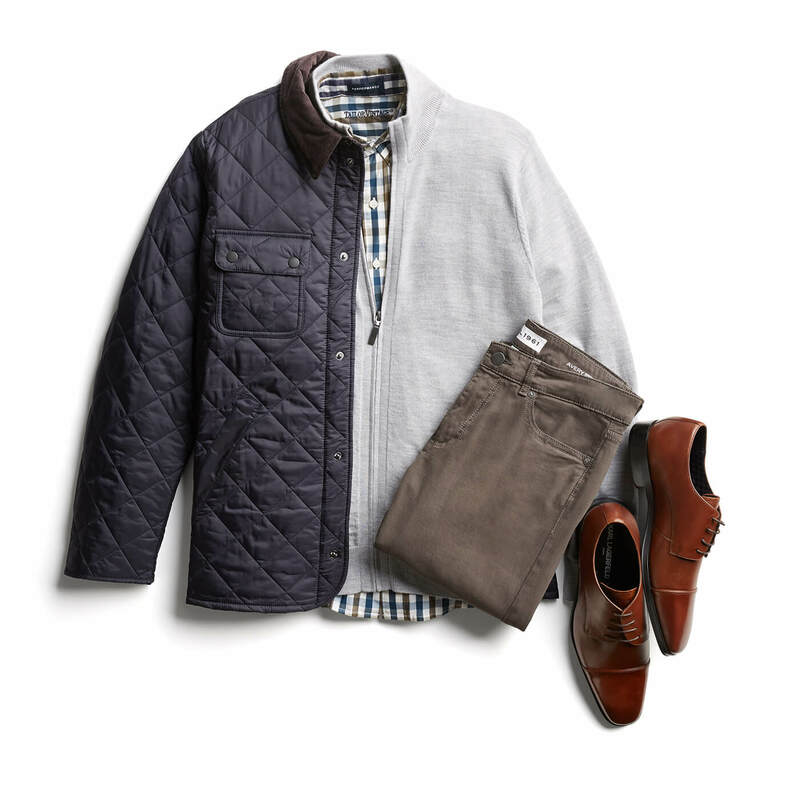 For starters, business casual doesn’t just mean boring khakis and blue button-ups. With a mixed of reliable staples and updated classics, you (yes, you!) can put together a great business casual outfit fit for the office. 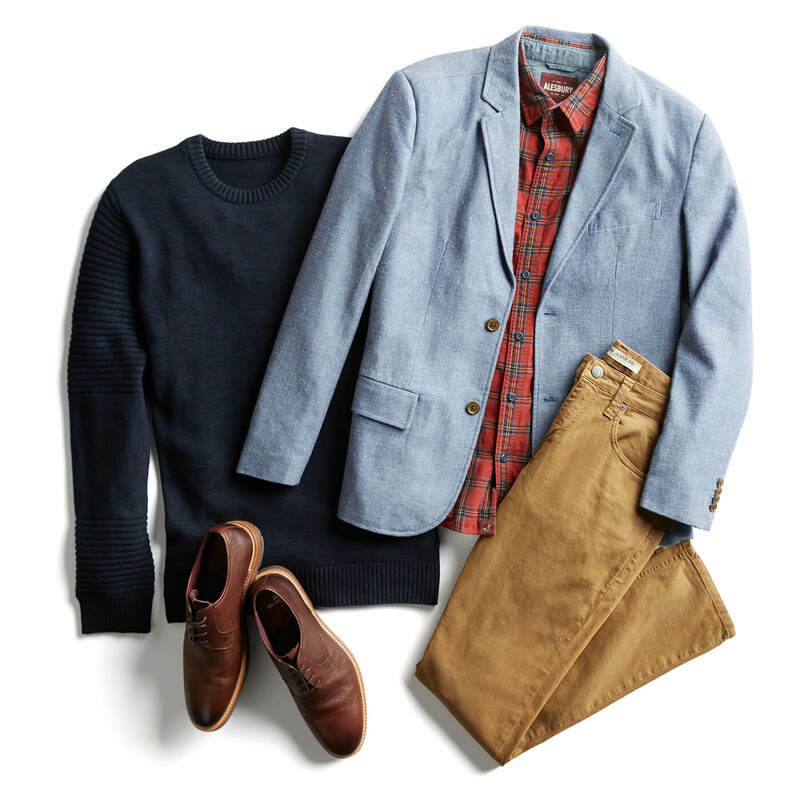 Keep reading to see how to build a business casual look. 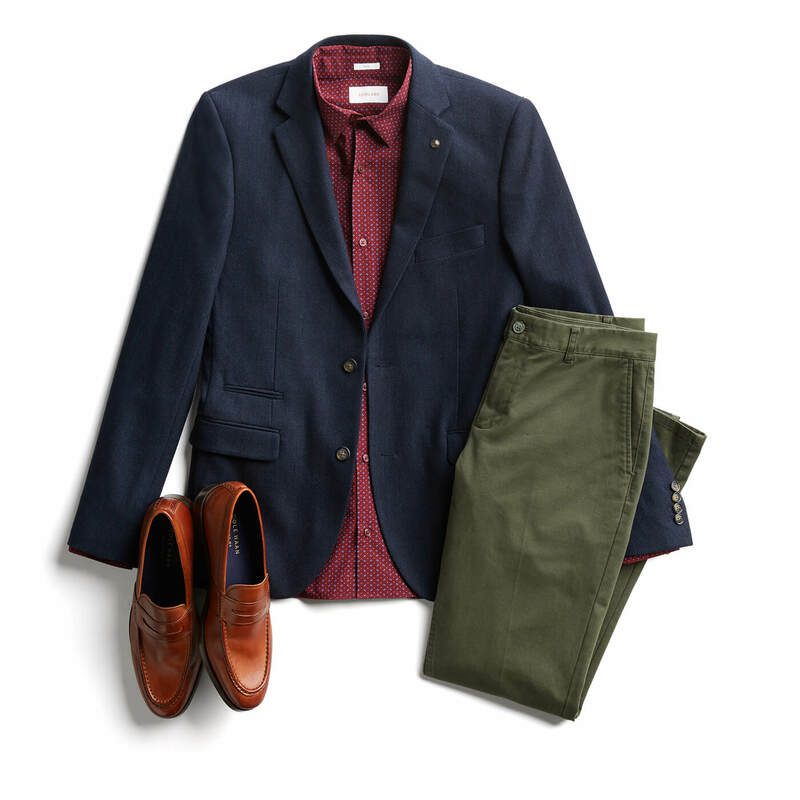 The easiest way to add polish to any business casual look is with a blazer. Add a navy, grey or black blazer to your closet to wear over button-ups and polos paired with chinos or jeans. Need some good news? We’re big believers in the power of stretch—so most of the blazers we carry have plenty of give so you can sit back and stretch out. Tip: Say it with us: Suit jackets are not blazers. Leave your suit jacket (you know, the ones that have matching pants) so that you can have your pants and jacket stay the same color. Now for your shirts. Button-ups are usually the first up to bat when it comes to building a business casual outfit. Large plaids, small plaids, gingham, vertical stripes and yes, florals are our go-to’s for adding more color to a business casual outfit. Feel the need to layer up? 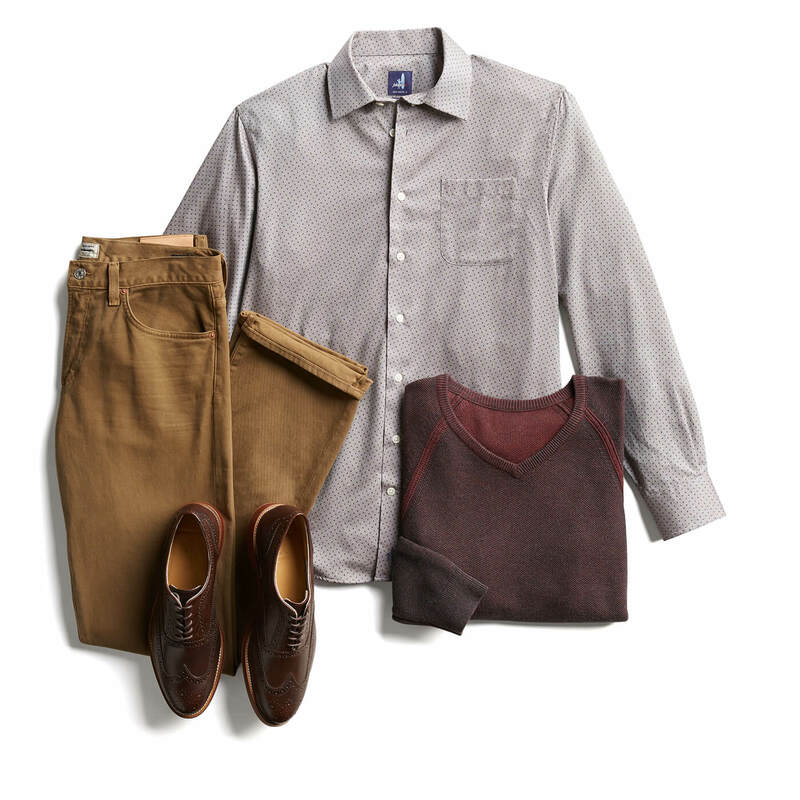 Pull on a crew, V-neck or a zip-up sweater over a button-up. …Right now. A good leather work shoe is a must, plain and simple. Derbys, brogues, monkstraps and oxfords are all go-to work shoes. If you spend a lot of time on your feet, look for shoes with rubber soles or extra cushioning in the insoles for extra comfort. Don’t forget to regularly give your shoes a good shine to keep them(and your overall style) polished. Want to see some business casual basics in your next Fix? Schedule one today!